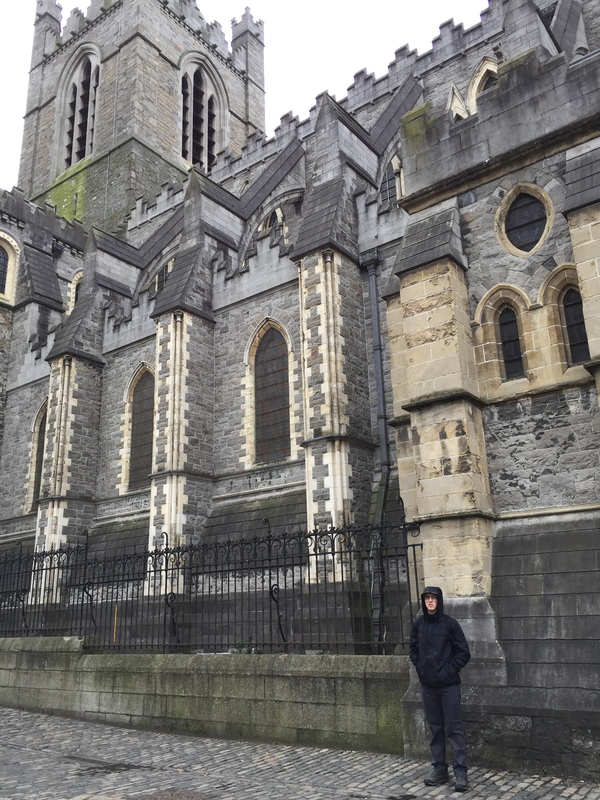 Dublin is where we started our 2015 Europe trip and it was a perfect first stop! Luckily, since Dublin is an English speaking country we didn’t have any kind of big “culture shock” which was kinda nice. We had 2 full days, 1 night in Dublin which we felt was enough time to see everything that we wanted. With more time, I would have liked to see more of the countryside but we opted for less time in Ireland to spend more time in Scotland and it all ended up working great. Plus, everything about Ireland is beautiful – the houses, the shops, the people, the beer! There are two sides of Dublin, separated by the River Leffy. We stayed on the side that felt a bit more ‘local’ and found some good places to eat and hang on our side of the river, although most of the tourist attractions are on the other side. The public tram transportation, the Luan, is very easy to use and pretty inexpensive to get around on, but you won’t need it much because Dublin is an extremely walkable city. It was a fantastic first stop to start our journey! Make sure you have small change on you so you can use the public restrooms. Most places start at €.50 and won’t have change for big bills so keep all your small coins! We took a direct flight from New York to Dublin overnight and scored on one way tickets! The flight was short and we got upgraded to business seats so we were sitting pretty with lots of leg room. The Dublin airport was clean and surprisingly quiet when we flew in, which made it easy breezy to get through customs and immigration. There is a very easy shuttle bus that drops you into the Main Street of Dublin for €12 each, roundtrip. If you don’t mind the chill and the rain, the best time to beat the crowds is the off season during the months of November to March. We visited at during the start of the shoulder season, the end of March into April and we were bundled up since it was still pretty cold and wet. You’ll probably hit the sunniest weather during the months of July and August, but no matter when you visit, make sure to always pack your rain gear! 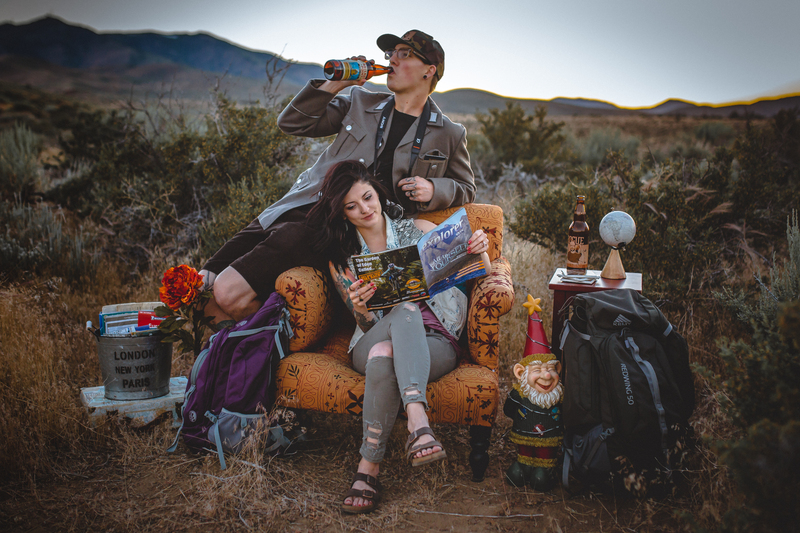 ♦ The Generator Hostel – This was one of the best hostels we have stayed in and the chain is located in a lot of major cities in Europe and expanding to the states. It definitely set the bar high for all other hostels after it because it was so nice and cool. This one was located next to the Jameson Distillery and was a little further outside of the main city area but worth the walk in. We chose a 6 bed, private bathroom room and felt like we were in more of a hotel room than a cheap hostel. There’s a cool cafe in the building for breakfast, snacks, and drinks and lots of areas to hang out and meet people. Most hostels let you keep your luggage either for free in a luggage room or paid lockers after you check out. This is incredibly helpful when you have late transportation out of a city, so make sure you use this service so you can optimize your time! ♦ Brewbakers Cafe – Located near Trinity College, this is a good spot for a quick bite! They make some good cappuccinos and delicious Irish breakfast sandwiches. These sandwiches are bacon heaven – with big, thick slices and ALL meat and no fat so I was a happy camper! ♦ The Brazen Head – This is a total MUST for any trip to Dublin. It is the oldest pub in Ireland, has a fun atmosphere, and killer fish and chips! We sat on the back patio which was well equipped with heaters so have no fear, you can eat here rain or shine! ♦ Sparks Bistro – One morning we had missed our hostel breakfast time and conveniently found this cute little Irish/Italian restaurant located next to our hostel. We had their special “traditional Irish breakfast”, complete with eggs, mushrooms, baked bean, bacon, and potatoes; and a homemade cinnamon roll as a side. ♦ The Stag’s Head – This is a cute little pub a few streets away from the hustle and bustle of the tourist Temple Bar area and down from Grafton Street. Find a cozy corner booth and order some Guinness (DUH!) and the best seafood chowder your taste buds have ever tasted, complete with a half loaf of bread! No trip to Ireland is complete without a sip of Guinness and there are many places to drink it at all times of day. Any pub is perfect for a pint of this heavenly drink, so we recommend finding your own favorite pubs along your brew tour. There is nothing quite like drinking this on draft a mile away from the source, but you can also opt for some other Irish favorites like Beamish and Smithwicks! ♦ The Old Storehouse – Located within the Temple Bar area, this is a great pub to meet other young travelers and share a Beamish Irish Stout. ♦ Frank Ryan’s – A cozy “real Irish pub” according to our bartender, with live music and a chill atmosphere. It is also a stop of some hostel tours so it can get a little crazy but it’s a great spot to have a beer or two for the night. ♦ The Dublin Airport – Surprisingly, the prices at the airport were the same prices as restaurants and bars in Ireland so you can drink while waiting for your flight without breaking the bank which is a major score. Normally I would opt for something local, but I did choose a Strawberry Lime cider from Sweden that has since become my favorite since I am not normally a cider lover! ♦ The Food Gallery – Located in the neighborhood of the Liberties, we came across this little coffeehouse where we sipped on some cappuccinos and read some magazines while we waited out the rain. Most of the cities that we were in while abroad have a free walking tour organization, where a local guide takes you around to some of the well known attractions and also takes you to some smaller, less touristy places – like local pubs or smaller monuments known only to the local people. We did our first one in Dublin and we highly recommend for a fun experience learning local history and getting a lot of the backstory on things that you wouldn’t necessarily get on your own. They are free, but the guides work on their own through the organizations so they do work for tips, but you decide how much you think their time was worth and how well they did. You obviously can’t miss at least seeing the Guinness Factory while in Dublin! What a strange mix of smells: hoppy, malty, burning beer. The grounds of the factory are pretty cool to check out and of course you must get a pic at the gate. We opted out of the tour inside the factory so we could go visit a few more places, but next time we would like to go inside and see the process of making the Guinness. The factory is in an area that we felt was a “truer” Dublin – lots of families out and about, kids in school, people out exercising – a less tourist attraction area and more of the real Dublin community. I can’t believe we went all the way to Dublin, stayed right next to the Jameson Distillery, and didn’t take the tour! At the time, I wasn’t much of a whisky drinker but now wish we would have at least gone inside and had a shot or two. Guided tours will cost you about $22 per adult for a duration of 40 minutes and a complimentary drink at the Jameson bar. The Dublin Castle is an interesting attraction in Dublin, only because it is a strange building that from some areas don’t really even look like a castle. Parts of the castle were badly burned throughout history and now the backside of it has been painted a more modern and less aesthetically pleasing than the original architecture. You can take a guided tour of a few rooms in the castle for $11 per adult or self guided for $7. Right behind the Dublin Castle is the Chester Beatty Library, a private collection of manuscripts, paintings, prints, drawings, rare books and decorative arts – and best of all it’s FREE!! The coolest thing about this museum, and really the only reason we went, is that it houses some of the oldest and earliest known copies of the Bible on papyrus. By far the coolest one was one of the oldest pieces of gospel fragments from the Gospel of John, dating back to the second half of the second century AD. There is also manuscripts in original Greek from the books of Hebrews, Paul’s letters to the Corinthians, Colossians, and Philippians that all date back to around 200 AD. This is a beautiful cathedral that houses some cool remains of old Norseman and is where the show The Tudors was filmed. We learned the significance of it on our walking tour when we came back around to it although we never ended up going in. This fun and lively area of Dublin houses many pubs, restaurants, boutiques, and cafes where you can find something going on at any time of the year. Although more touristy than finding a place across the river, this is a perfect neighborhood to grab an overpriced Guinness and meet other travelers. The Trinity College grounds are open to walk around and it’s a beautiful area, especially when the sun is out. One of the buildings of the college is the Trinity College Library, where you find the biggest library in the country. It houses the magnificent Long Room chamber, that holds more than 200,000 books! Two of the most famous sites to see are the Book of Kells – a beautiful Celtic manuscript containing the four gospels written in Latin around 800 AD, and one of the few remaining copies of the 1916 Proclamation of the Irish Republic. It will cost about $14 per adult to see the Book of Kells and the Old Library exhibitions, but even if you don’t make it in, the ground of Trinity College are beautiful in and of themselves and certainly worth the visit. The students don’t even bat an eye at all the tourists walking around so you can grab a coffee and take a stroll along the campus square. This park was bought and given to the Irish people by the Guinness family and even in the rain is peaceful and beautiful. St. Stephen’s Green runs adjacent to a three story shopping mall and also close to Grafton Street, the high class shopping street of Dublin. There is a lot of interesting history in Dublin and there are many fun things to do in the city! The next time we are there, we would love to rent a car and see the rest of Ireland, but Dublin is a great introduction to Ireland. Anybody have anything else they love about Dublin that should be added to our list?